Discovery, Direction and Moving Where Your Motivation Takes You. You discover yourself when you’re left to your own devices. You learn about who you are, what you desire and what works best for you. The devices you’re left to, well that’s a different kind of animal. When the world around you changes and you’re stuck doing things you’ve always dreamed of, a few things happen. You’ll slap yourself often. This is to check if you’re sleeping, but beware, when you do this, people will think you’re odd for slapping yourself in public. You’ll understand that you’re better at something than you first thought. This understanding allows you to be more creative, and willing to adventure to places you didn’t believe you could go. When you discover these places, you won’t believe they were there prior to your discovery. You’ll believe them false and it’s because of this belief you’ll learn that your life wasn’t what you believed it to be. 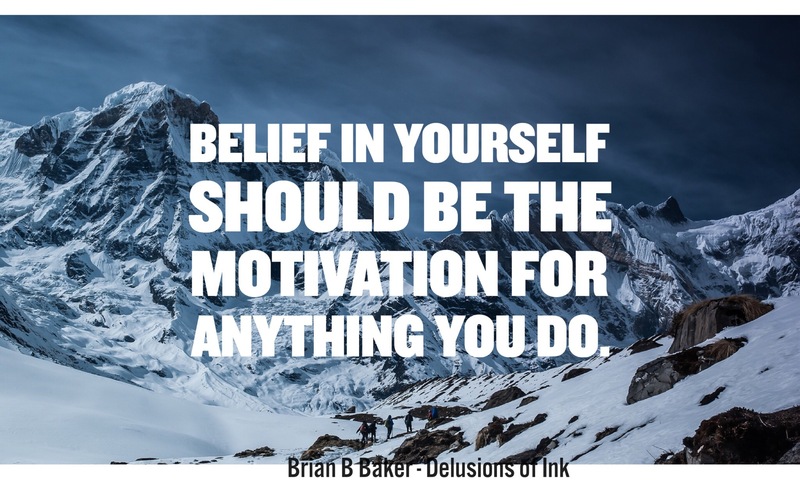 Belief in yourself should be the motivation for anything you do. If you don’t believe in yourself, no one else will either. The belief you have in yourself is the most valuable commodity you possess, use it only with those who share your vision. If you share it with everyone, it diminishes the commodity. Trust in yourself and understand that discovery, desire and belief are the greatest assets you have. When you know these things, then you’ll be headed in the correct direction. Previous Post Previous post:Things you shouldn’t ask a writer.